This Sunday's Gospel (Mt 13:1-23) shows us Jesus' sermon on the shore of Lake Galilee and, because a large crowd around him, he gets on a boat, moving away a little from the shore and preaches from there. When he speaks to the people, Jesus uses many parables: a language comprehensible to everyone, with images drawn from nature and everyday life situations. This parable speaks to each of us today, as it spoke to the listeners of Jesus two thousand years ago. It reminds us that we are the land where the Lord tirelessly throws the seed of His Word and His love. What is our disposition when we receive it? How is our heart? What does the ground look like: a path, a stone, a thorn bush? It's up to us to become good soil without thorns or stones, but tilled and cultivated with care, so that it can bring forth good fruit for us and for our brothers. At every Mass, the good seed of the Gospel is sown in us ever anew, by means of the table of the Word of God: a seed to be accepted, to safeguard, to live. Even in these summer months, during the holiday period, it is important to participate every Sunday at this table, to draw light and strength for our journey. I extend a heartfelt appeal to all of you to continue to pray earnestly for peace in the Holy Land, in the light of the tragic events of recent days. I still vividly recall the meeting of 8 June with Patriarch Bartholomew, President Peres and President Abbas, with whom we invoked the gift of peace and heard the call to break the cycle of hatred and violence. Some might think that such a meeting took place in vain. But no, because prayer helps us not to allow ourselves to be overcome by evil, nor resign ourselves to violence and hatred taking over dialogue and reconciliation. I urge the parties concerned and all those who have political responsibility at local and international levels to spare a prayer and make some effort to put an end to all hostilities and to achieve the desired peace for the good of all. And I invite everyone to unite in prayer. In silence everyone, let us pray. The Pope and the faithful then took a moment to pray. Now, Lord, help us! Grant us peace, teach us peace, guide us toward peace. Open our eyes and our hearts and give us the courage to say: "Never again war!" "Everything is destroyed by war." Strengthen us in courage to take concrete actions to build peace ... Make us willing to listen to the cry of our citizens who are asking us to transform our weapons into instruments of peace, our fears into trust, and our tensions into forgiveness. I greet you all cordially, Romans and pilgrims! Today marks "Sea Sunday". I turn my thoughts to seafarers, fishermen and their families. I urge the Christian communities, particularly those living on coasts, that they be attentive and sensitive towards them. I invite the chaplains and volunteers of the Apostleship of the Sea to continue their commitment to the pastoral care of these brothers and sisters. I entrust all, especially those who are in difficulty and away from home, to the maternal protection of Mary, Star of the Sea. I join in prayer the pastors and the faithful who are participating in the pilgrimage of the Family of Radio Maria at Jasna Gora, Czestochowa. Thank you for your prayers and I cordially bless you. I now greet with affection all the spiritual sons and daughters of St. Camillus de Lellis, which tomorrow marks the 400th anniversary of his death. I invite the Camillan family, at the height of this jubilee year, to be a sign of the Lord Jesus who, as the Good Samaritan, tends to the wounds of the body and the spirit of suffering humanity, pouring the oil of consolation and the wine of hope. 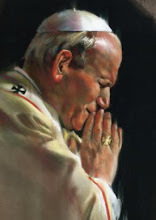 To you who have gathered here in St Peter's Square, as well as to health professionals serving in your hospitals and nursing homes, I wish that you grow more and more in the charism of charity, fueled by daily contact with the sick.